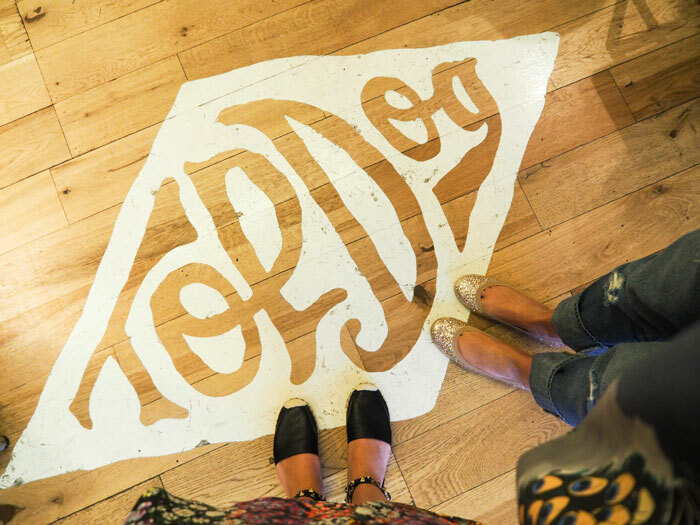 Fast forward to this past Thursday night when I walked into the media opening of “Top Dog.” So excited for my friend, Marissa and I exchanged hugs, “You DID it!! !” I said. And she did. 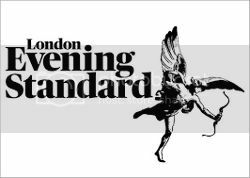 True to her ambitions, and her word, Marissa, husband Matt Hermer (the highly successful founder of Boujis nightclub, the original cocktail bar Eclipse and the British neighborhood Bumpkin restaurants) along with Ewan Venters (Fortnum & Mason CEO) have created the best hot dog joint in the city. 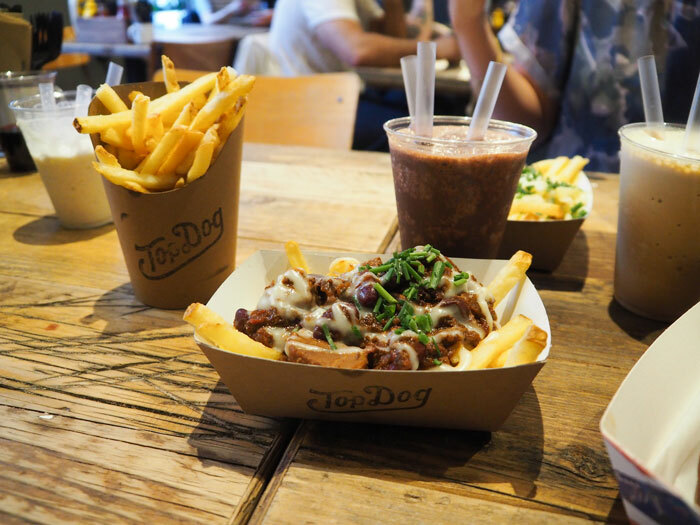 Located in Soho on Frith Street, the delicious dogs are available to eat-in and take-away. 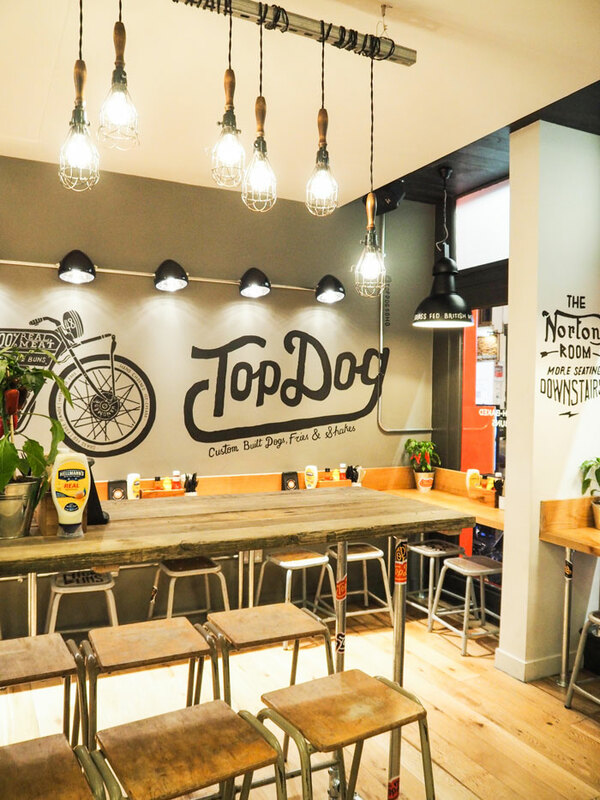 In addition to offering some classic American favorites, Top Dog has adapted the dish to suit the UK’s increased focus on healthier eating habits. 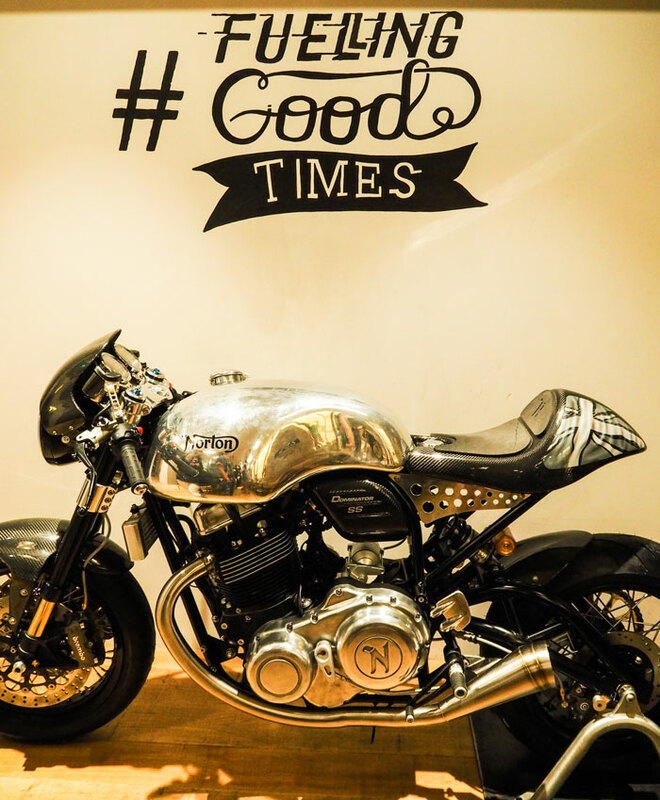 DING DING DING– yes you read that right. 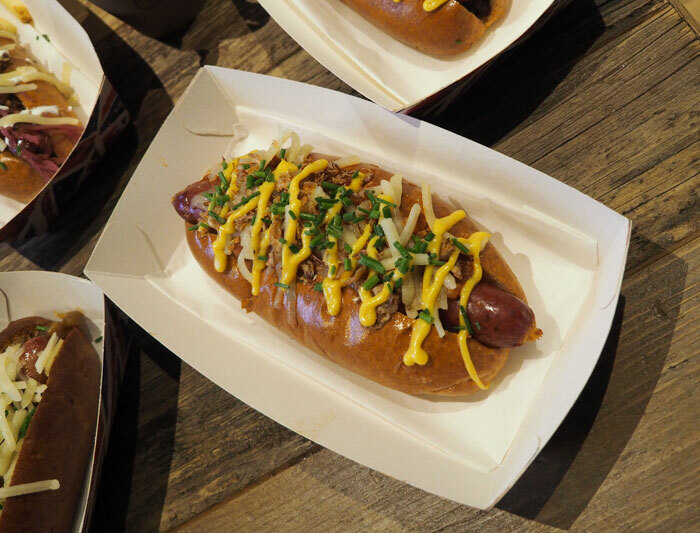 You can now find a healthier version of your favorite hot dog. The lighter options include the ‘no-bun’ Lettuce Dog and Corn n’ Guac organic tofu dog, with gluten-free buns available. 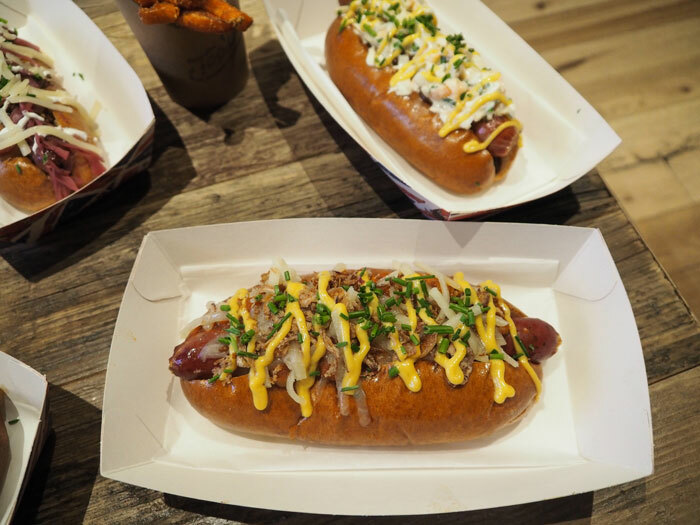 For those of you (listen up boyfriends and husbands) that want to go whole hog, the menu also includes nine premium, all-natural “all meat no mystery” dogs with zingy, fresh toppings includes the Soho Dog, Kimchi Dog and Pulled Pork n’ Slaw Dog. “We’ll take one of each” Marissa said as we ordered, “I want Christy to try them all!” And I did. Call it journalist research. Call it supporting one of my favorite Californians in London, but I did. Try. Them. All. And all I have to say is now YOU have to try them too. 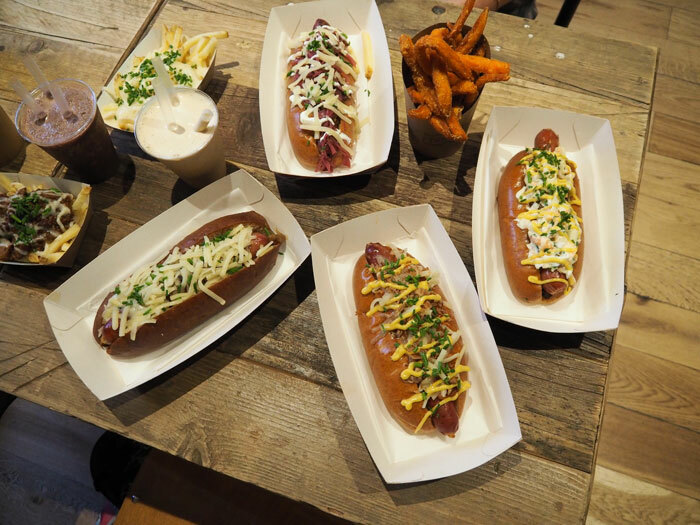 Topdog is the only place in London you should ever order a hot dog, EVER. But wait, there’s more! You can’t not go and not try the fries which include rapeseed-cooked, skin-on sweet potato fries, as well as slaw and chilli fries. The chilli fries were my absolute favorite thing. Got a sweet tooth?! There’s also a selection of American-style chocolate chip cookies and a fudgy chocolate brownies and artisan ice-cream shakes. There’s also a selection of wine and beer. I’d say make a reservation, but Topdog isn’t that kind of place. So instead I’ll say get there early or be prepared to stand in a line. Another American Girl dream realized, and a win for all of us hot dog lovers. I’ll see you in Soho. Great review, can’t wait to try TopDog. However, this line “For those of you (listen up boyfriends and husbands) that want to go whole hog” is extremely off putting. God forbid a woman actually wants to eat something that isn’t considered diet, healthy, something-free food. Sorry, all those amazing menu options are only for men, well, actually, only men in a relationship. This was a perfect review except for those sexist 5 words.